The Chattanooga Deluxe Pedal Exerciser is a lightweight, portable exercise bike with electronic controls and an LCD display. Great for your upper and lower body, the Chattanooga Deluxe Pedal Exerciser helps improve circulation, muscle strength, joint range-of-motion and coordination. 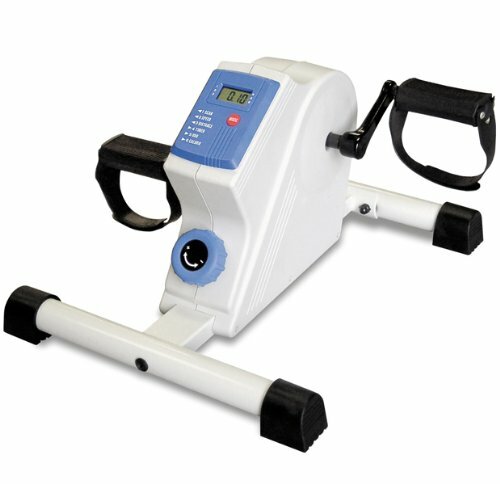 The Chattanooga Deluxe Pedal Exerciser gives you all the benefits of a road bike, and can also be used as a rehabilitation tool for people in physical therapy. Portable and compact, users can enjoy the benefits of a great workout in their home or during travel. If you have any questions about this product by Arm/Leg-Exercisers, contact us by completing and submitting the form below. If you are looking for a specif part number, please include it with your message.